Throughout most of the summer and into the fall we’ve been making our way with Jesus in St. Luke’s Gospel from his native Galilee to Jerusalem. Three things bear noting up front. First, in the Synoptic Gospels (i.e., the Gospels of Matthew, Mark, and Luke), Jesus makes only one journey to the holy city. Second, the so-called “Journey Narrative” comprises slightly less than half of Luke’s Gospel. Finally, like last week, our Gospel today, which tells of Jesus’ entry into Jericho, from where he turned westward and made his way up the mountain to Jerusalem, it is a despised tax collector who shows what it means to be justified by Christ, that is, saved. What’s in a name? After all, a name doesn’t make us someone we are not. For example, “Hope” might be a depressed, negative woman and “Christian” may live an utterly faithless life. The name Zacchaeus means “righteous one.” But due to his occupation as a tax collector, his fellow Jews certainly did not consider him to be righteous. In Jewish society under Roman rule tax collectors, who were probably Jews, as Zacchaeus seems to be, were notorious public sinners. As a chief tax collector of a city or area, Zacchaeus would have paid the Romans for the license to collect taxes. Once the license was issued, he would then pay the amount levied by the Romans before collecting taxes from the local population. Anything he collected over and above what the Romans levied was his profit. It is not too difficult to see the corruption inherent in such a system. It was no doubt through exploiting this unjust system that Zacchaeus became wealthy. Upon learning that Jesus was passing through town, Zacchaeus had a burning desire to see him. It is likely Jesus’ fame preceded him. But it was Jesus who took the initiative when, as he walked through Jericho, he looked up into the sycamore tree and said: “Zacchaeus, come down quickly for today I must stay at your house.” Zacchaeus responded without hesitation. He scrambled down and received Jesus with joy (Luke 19:5-6). Upon witnessing this, the crowd grumbled: “[Jesus] has gone to stay at the house of a sinner.” It was Zacchaeus who responded to their compliant, saying, “Behold, half of my possessions . . . I shall give to the poor, and if I have extorted anything from anyone I shall repay it four times over” (Luke 19:8). In addition to giving a generous gift to the poor, Zacchaeus offered to repay what he had extorted more than the required amount. According to the Law of Moses, one is required to restore what was taken through robbery or fraud by repaying the principal and adding one-fifth (Lev 6:4-5). Please note that Jesus did not place any pre-conditions on his announcement that he was going to stay at Zacchaeus’ house. He did not say, “Zacchaeus, if you make a generous offering to the poor and repay what you have extorted more than the Law requires, I will come stay at your house.” Zacchaeus, upon hearing Jesus was going to enter under his roof, seemingly converted and made his offer in response. I don’t think it’s stretching things too far to suggest that Zacchaeus’ offer was his thankful response for receiving Jesus. In other words, his offer has something of what we might call a “Eucharistic” feel to it. You see my friends, in Zacchaeus we have a paradigm of how one becomes a Christian; which is by grace through faith. 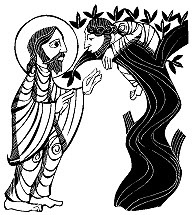 Just as Zacchaeus, in going to see Jesus, discovered his own identity as a truly “righteous one” despite his wicked ways, it is Christ who fully reveals us to ourselves (Gaudium et Spes, par 22). We are gathered here because of our desire to receive Jesus in Holy Communion together. Therefore, the question to us is: Does our receiving Jesus make us as grateful Zaccaheus? Today we also heard in our first reading from the Book of Wisdom: “you love all things that are and loathe nothing that you have made” (Wis. 11:24). Further on in our first reading we heard God is the “lover of souls” (Wis. 11:26). Jesus calling Zacchaeus by name is a wonderful example of what these words mean. Zacchaeus’ response also indicates that, despite the graciousness of God’s gifts, there is always an implied mutuality. Respecting our freedom, of which He is the author, God does not force Himself on us. A good example of what I mean by implied mutually is what we pray in the Our Father: “forgive us trespasses as we forgive those who trespass against us.” This implied mutuality is probably best illustrated as receiving a gift. Because God’s mercy is a gift, our refusal to respond to God’s grace does not cancel out God’s gracious offer. We call this offer Mercy. Jesus himself is Divine Mercy. During this Jubilee, we have a great opportunity to receive mercy and then to give it. Mercy is never really received until it is given. As we approach the end of this Year of Grace, which we will mark in a few weeks’ time by celebrating the feast of Christ the King, which, this year, will also bring the Jubilee of Mercy to a close, it bears noting that our second reading reminds us that Christ will come again. His return to judge the living and the dead is an essential article of Christian faith. With the election a little more than a week away, as a Christian citizen of a free republic, it is critical for you to thoughtfully and prayerfully reflect on how best you can best bring the light of the Gospel to bear on our nation through your vote. By God’s grace, in his encounter with Jesus, Zacchaeus immediately grasped what it meant to follow Jesus, to be his disciple. He did not grasp this by understanding a series of theological propositions to which he gave intellectual assent. He comprehended by faith, which is our response to grace. Grace is God’s saving initiative towards us. Pope Benedict once taught: “there is no authentic celebration and adoration of the Eucharist that does not lead to mission. And mission presupposes another essential eucharistic trait, namely the union of hearts.” As Pope Francis has insisted over the course of this year’s Jubilee of Mercy, the Spiritual and Corporal Works of Mercy are how we carry out our mission. As we receive Jesus in this Eucharist may our hearts be united and our lives changed. And as we recognize the Lord in the bread and in the wine and invite him under our roofs, let us not fail to recognize him in those in need, who St. Teresa of Calcutta called Jesus in a distressing disguise. As the Body of Christ, it is our eucharistic mission to fashion an ever more merciful world day after day, as we wait in joyful hope for the coming of our Savior, Jesus Christ. Cohen admitted that it was cowardice and fear that prevented him from marrying the mother of his children. Also featured on the track are Gideon Zelermyer, a Jewish Cantor from Cohen's hometown, Montreal, and the Shaar Hashomayim Synagogue Choir. The chanted Hebrew word you hear in the song transliterates as either Hineni or enni, and translates as "Here I am." It is a word addressed to God by Moses in Exodus 3:4 when God calls him by name from the burning bush, saying, "Moses, Moses." It is also spoken by Isaiah to God after he hears God ask, "Whom shall I send, and who will go for us?" Today's Gospel, Luke 18:9-14, is one of those that really needs to no interpretation in order to be understood. Perhaps all that really can be said about this passage has been said for more than a millennium by the Jesus Prayer: Lord Jesus Christ, Son of God, have mercy on me, a sinner. Perhaps, as Roman Catholics, we don't even need to search that far afield, but only need turn to our own Eucharistic liturgy: Lord, I am not worthy that you should enter under my roof, but only say the word and my soul shall be healed. In either case what is important is that Christ has mercy on us; he says the healing word. You see, the problem with the Pharisee was that in his estimation he did not need God's mercy. He was not in need of a savior. In his view, his "righteous" acts justified him before the Almighty. The commentary by the inspired author prior to his relaying Jesus' parable makes the point: [Jesus] then addressed this parable to those who were convinced of their own righteousness and despised everyone else (Luke 18:9). I think despising everyone else is implicit in being convinced of my own righteousness. Of course, the irony is that despising anyone else, let alone everyone else, eviscerates whatever righteousness I might have. Righteousness, rightly grasped, can never be realized by strict observance of a set of rules, from meticulously obeying prescriptions and proscriptions, checking the boxes on the checklist of holiness. I should not come to Mass out of some sense of obligation to God, that is, to keep a rule, to obey the precept of the Church that bids me to assist at Mass on Sundays and holy days of obligation on pain of mortal sin. Like the tax collector, my need for God's mercy given to me in and through Jesus Christ should bring me to Mass Sunday after Sunday on holy days, if not more often. The same is true for going to confession. I am bound, again, on pain of mortal sin to confess my sins and receive holy communion at least once a year. I don't know about you, but my need for God's mercy is made manifest way more than once a year, just as my hunger and thirst for righteousness, for Christ-like-ness, needs satisfying more than once a year. Due to circumstances and commitments, prior to yesterday evening's Sunday Vigil Mass, I hadn't served at the altar for a few weeks, which is very unusual. At the beginning of Mass, instead of the reciting the penitential litany, my pastor opted to pray the Confiteor. Just as my bishop did when I served at the Cathedral, my pastor likes the deacon to lead this penitential prayer by saying "I confess to almighty God..." During the pause between the priest saying something like, "Brothers and sisters, let us acknowledge our sins, and so prepare ourselves to celebrate the sacred mysteries," and the beginning of the Confiteor, litany, or the other penitential act, I silently pray the Act of Contrition. Being caught a bit off-guard by praying the Confiteor instead of the litany, rather than pause, I began praying the Act of Contrition out loud. As started to recite it, I looked at the congregation and wondered why they weren't joining me. About a second later I realized what I was doing, stopped, and began the Confiteor. I don't mind admitting that praying the Act of Contrition instead of the correct prayer was humbling for me. I am a deacon who takes doing everything I do during the Mass very seriously. It is important to me to do all things a deacon does correctly and well. It's fair to say that I take pride in so doing. This disposition, at times, causes me to be mentally critical of others who, while serving at Mass, sometimes flub up. After the Collect, as we sat for the for the first reading, I began mentally berating myself, one might say, humiliating myself, for my mistake. By the grace of God I caught myself, remembering what C.S. Lewis wrote about humility: "True humility is not thinking less of yourself; it is thinking of yourself less." It was pride, too, that caused me to begin laying into myself. Without a doubt, at the Mass I was privileged to served at this morning, the Confiteor came out loud and clear, but not without a wry smile and a silent "Thank you" to God. 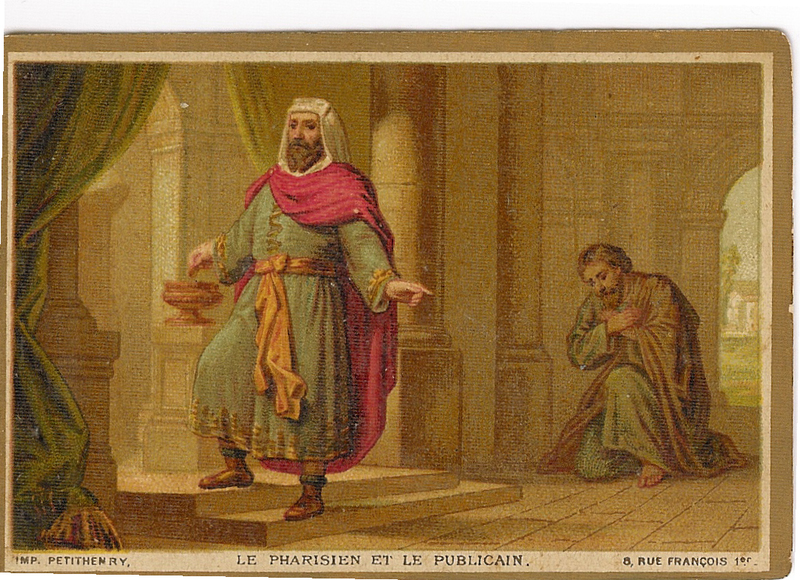 Like most every other Christian, I suppose sometimes I am the Pharisee and sometimes I am the tax collector. 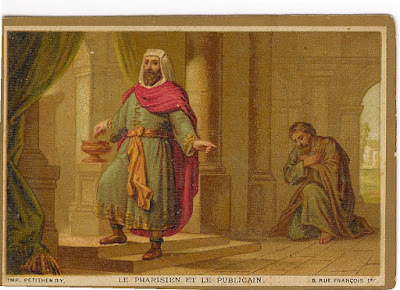 As a result, my prayer today is to be more like the tax collector and less like the Pharisee. As we heard in our first reading from Sirach: "The prayer of the lowly pierces the clouds; it does not rest till it reaches its goal." Our Psalm response perhaps teaches this even more clearly: "The Lord hears the cry of the poor." Yesterday I mentioned that last weekend, along with my brother deacons and many of their wives, I was privileged to once again participate in our diocese's annual weekend-long deacon retreat. It's always a joy to see, spend time among, and talk to many of my brother deacons. One thing that remains clear to me after nearly 13 years of being a permanent Roman Catholic deacon is, generally speaking, priests don't care much for permanent deacons. As in most things, there are certainly exceptions. I don't make this observation in an accusatory way, or because something has recently happened in my own ministry that pissed me off. I make it simply as an observation over nearly 13 years of ministry. For what it's worth, I firmly believe it's something that can be overcome and rectified if it's given the attention it deserves. In my experience, not much caring for permanent deacons is true both of more and less traditionally-oriented priests. It seems this not much caring for deacons takes two forms, which I will seek to set forth in a very generalized manner. In the first instance a permanent deacon isn't deemed by the priest to be ministerally competent. Lack of ministerial competency, which does not necessarily, or even usually, imply utter incompetency, usually results from inadequate initial and/or the utter lack of on-going formation, as well as the lack of genuine opportunities to serve, opportunities that allow the deacon to hone his skills. In such cases the priest dismisses him as not being up to the task. Of course, the fact that many priests eschew on-going formation themselves- something that shows in their ministries, often taking the form of the outmoded "Father knows all, makes the decisions with little or no consultation, and does all the things that really matter" view of ministry- is usually overlooked. About those deacons who may be ministerally incompetent, remember, no deacon is even accepted as a candidate for ordination without a strong recommendation from his pastor! The second generalized instance involves a deacon who was initially well-formed and who actively seeks to improve his ministerial skills. These deacons are often viewed as a threat, as a competitor, someone to be kept in his place by various means. This often holds true despite the fact that people in most parishes are pastorally under-served. 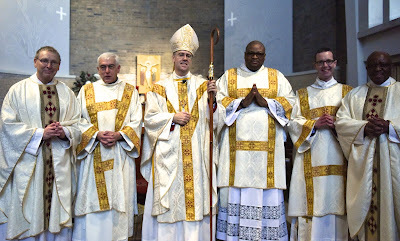 But there is no need to compete or priests to feel threatened by competent and active permanent deacons because the pastoral need in most parishes far outstrips the parish's pastoral capacity, even when one thinks about priest(s) and deacon(s) working together at something like full capacity. There are reasons why, by-and-large, Catholics no longer seek pastoral advice and counsel, spiritual direction, if you will, in matters affecting their lives, even when it comes to complex moral issues such as in-vitro fertilization, marriage preparation and counsel, end-of-life issues, etc. In other words, even in matters that seem to call for pastoral consultation and input as a serious Catholic prayerfully discerns what to do, or seeks assistance in trying times, people seem to grasp there is often not much to be gained from seeking pastoral advice, which assumes it's made available when they seek it. This is a challenge for the Church across-the-board. How both of these states-of-affairs are typically made manifest is the refusal of priests to have anything substantial to do with deacons assigned to their parishes, choosing instead to keep them at arms length. 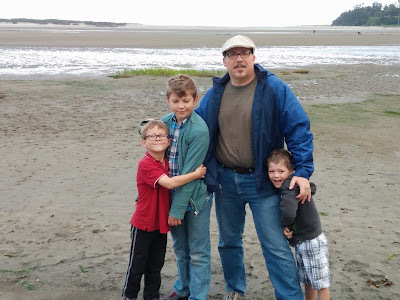 In many situations, it seems, the best a permanent deacon can hope for is a kind of benign neglect that gives him a certain list of things to do which he is then left to do with little or no interference. In my own diocese I aware of permanent deacons willing, able, and ordained to serve who are given either trivial or, in some instances, nothing to do. In short, when it comes to ministry, many permanent deacons are under-employed, which is not only to their own detriment, but that of the entire parish and, in the aggregate, the detriment of the entire Church. Collaborative ministry requires communication and partnership. As in all such relationships, be they personal, professional, or pastoral, these require effort, work, and no little creativity. At minimum the fruitful collaborative relationship between priests and deacons requires a view of pastoral ministry that involves deacons. Fruitful collaborative relationships don't just happen, they require leadership and initiative. It's surprising to me that priests working with deacons and deacons working with priests does not seem to be given much emphasis in either priestly or diaconal formation. What often passes for this in diaconal formation is for the deacon to be utterly deferential in every way to the priest(s) he serves alongside. While it's not the job of the deacon to play loyal opposition or be a divisive force within the community, much less to play devil's advocate, such an utterly deferential attitude can seriously compromise a deacon's diakonia. A deacon should not reject his pastor's authority, but he shouldn't be shy about speaking up when it's the right thing to do. Ideally, such speaking up is done at a time and in a place when and where it is not divisive for the community, but useful. This means such times and places must exist. One thing I've never understood is what in reality is a priests' convocation being billed as "Clergy Convocation" while excluding deacons. Why do deacons and priests of a given diocese not come together, say, once a year for a convocation together, an actual Clergy Convocation? Are there dioceses that do these kinds of things? How often do the clergy of a parish, even if it's one priest and one deacon, get together to discuss ministry to the parish and build fellowship with one another in order to foster koinonia in the community they serve? Why is communication often done through intermediaries, like parish staff, and not directly, even in relatively small parishes? 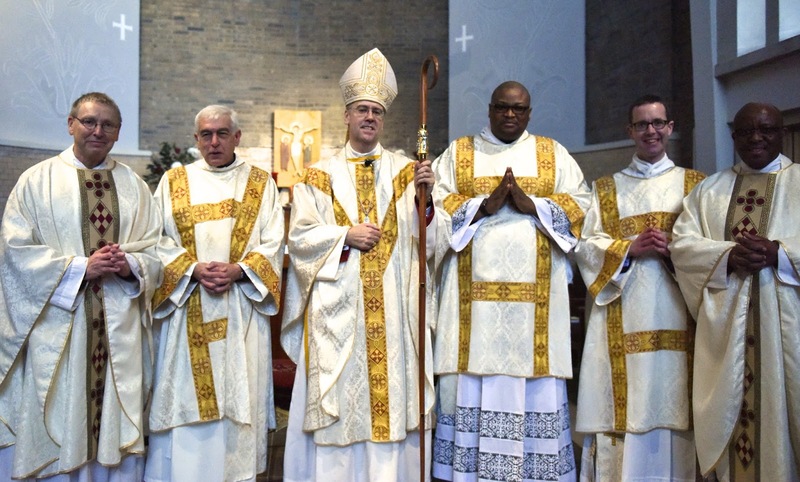 Deacons and priests working together strikes me as a matter of great importance for the Roman Catholic Church in the United States and other countries that have a well-established permanent diaconate. I think we're overdue for this matter to be given its due. And death shall have no dominion. Dead man naked they shall be one With the man in the wind and the west moon; When their bones are picked clean and the clean bones gone, They shall have stars at elbow and foot; Though they go mad they shall be sane, Though they sink through the sea they shall rise again; Though lovers be lost love shall not; And death shall have no dominion. And death shall have no dominion. 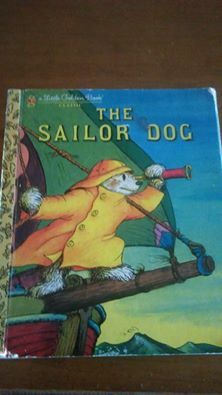 Under the windings of the sea They lying long shall not die windily; Twisting on racks when sinews give way, Strapped to a wheel, yet they shall not break; Faith in their hands shall snap in two, And the unicorn evils run them through; Split all ends up they shan't crack; And death shall have no dominion. "But nothing really matters much, it’s doom alone that counts"
Earlier today it was announced that Bob Dylan will receive the 2016 Nobel Prize for Literature. Without a doubt, Dylan elevated lyrics above music, making many, most, perhaps all, of his songs poems, really. 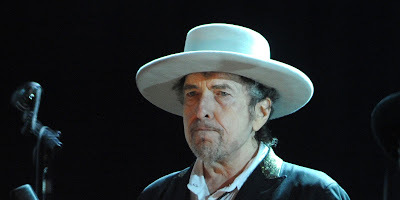 I chuckled when I read about Sara Danius, permanent secretary of the Swedish Academy, saying, in addition to him being "a great poet in the English speaking tradition," that Dylan is someone who has been re-inventing himself for 54 years, "constantly creating a new identity." The fact of the matter is, he has been doing no such thing. Apart from trading his last name, Zimmerman, for the given name of the great 20th century Welsh poet Dylan Thomas, he's remained himself. You see, Dylan always insists he's nothing more (or less) than "a song and dance man." All the re-invention has been, at least in my view, his way of poking fun at the vagaries of popular culture and media. I'll grant that Bob Dylan isn't who most of the media think he is, but it isn't because he changes identity. It's rather that he rejects the ideological nonsense many have been trying to project onto him since the 1960s. In my view, the only person who routinely has as much fun monkeying with the media is French author Michel Houellebecq. Douglas Brinkley, who interviewed Dylan for Rolling Stone, writes: "I decide to push him on the importance of Christian Scripture in his life. 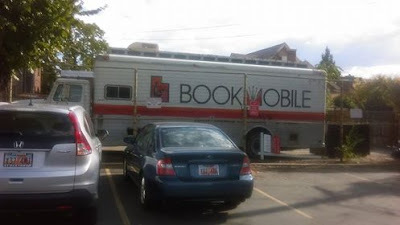 'Well, sure' he says, 'that and those other first books I read were really biblical stuff. Uncle Tom's Cabin and Ben Hur. Those were the books I remembered reading and finding religion in. Later on, I started reading over and over again Plutarch and his Roman Lives. And the writers Cicero, Tacitus and Marcus Aurelius...I like the morality thing'." Here is where Dylan says something so wise and concise you might miss it: "People talk about [morality] all the time. Some say you can't legislate morality. Well, maybe not. But morality has gotten kind of a bad rap. In Roman thought, morality is broken down into basically four things. Wisdom, Justice, Moderation and Courage. All of these are the elements that would make up the depth of a person's morality. And then dictate the types of behavior patterns you'd use to respond in any given situation. I don't look at morality as a religious thing"
Dylan's view on morality is really quite Catholic, rooted as it is in natural law. It's easy for me imagine the "she" in this song as our Lady. It's the month of her Most Holy Rosary, pray it daily. It is impossible to read about Saint Pio of Pietrelcina, more popularly known as Padre Pio, without reading accounts of many miracles. Nothing makes some people more uncomfortable than a miracle, than the idea of miracles, than the thought that God at times and quite unpredictably directly and inexplicably intervenes in the world at the behest of someone. Among those made uncomfortable by miracles and miracle-workers are theologians, especially of the systematic variety. Miracles and miracle-workers tend to disrupt their carefully constructed reality, to challenge their theories, which have room for the divine, but only so much. I don't believe it's too strong to assert that, at least for some, God's intervention in the world is viewed as interference, or undue influence. They create space for God in their accounts of reality, but place fairly strict limits on the amount they're willing to grant Him. Fr. 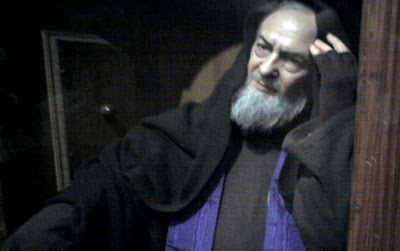 Marcello Iasenzaniro, in his his book The "Padre," St. Pio of Pietrelcina: Charismatic Priest, pauses in the midst of many accounts of the miracles Padre Pio worked on behalf of people to attempt a brief explanation of the role miracles play in Church and in the world. 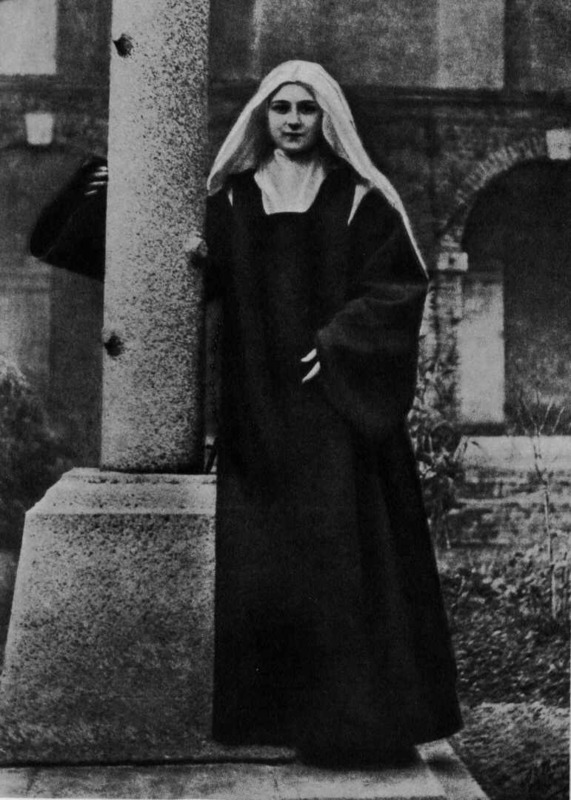 It is not a quaint, outdated, or silly thing for verified miracles to normally be required by the Church for the beatification and then canonization of a saint. 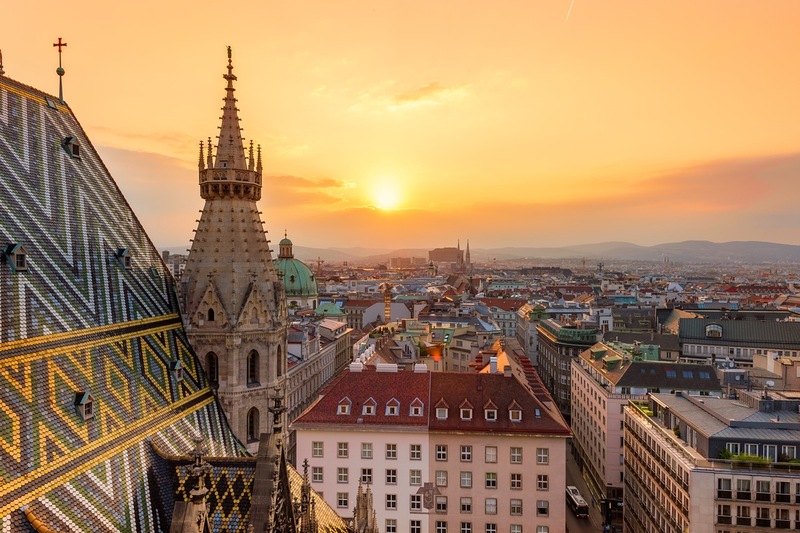 Sometimes the proliferation of miracles, like the many worked by Venerable Matt Talbot on behalf of former alcoholics and addicts, are difficult to capture and verify, yet they happen. I hope, as he did for the canonization of Good Pope John, Pope Francis proceeds to beatify Venerable Matt, perhaps during his visit to Ireland next year. It's also good that the Congregation for the Causes of Saints still seeks testimony against the canonization of someone. For example Christopher Hitchens and Aroup Chatterjee, both harsh critics, both gave testimony against canonizing St. Teresa of Calcutta. Any testimony critical of a claim of a miracle is also included. It's easy to see the complementarity between what Von Balthasar wrote about the saints and the use of Cantalamessa's insight concerning miracles by Fr. Iasenzaniro. Frankly, any theologian whose theology either dismisses these two insights or refuses to address them is wholly inadequate to the task s/he undertakes. One might go to the extreme and argue that such theologies are attempts at reducing the Mystery to our measure. After all, what is a miracle but the in-breaking of the Mystery for those with eyes to see and ear to hear? According to Padre Pio is not enough to say that faith precedes the miracle. Faith must be put into practice by means of fervent and frequent prayer. This how you put yourself into the hands of God, it is how you surrender. 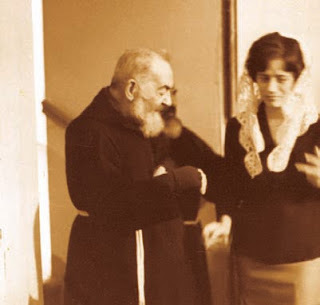 One Nina Campanile reported that Padre Pio once told her: "The Lord is ready to do miracles, but there is a lack of faith." Getting back to something noted by both Von Balthasar and Cantalamessa, Padre Pio also averred that God, in His mercy, withheld miracles from the learned in order "to not make the scholars more responsible" when they faced judgment. To profess belief in miracles in the manner urged above is not to believe we can manipulate God, or that God will answer every faithful prayer according to the desires of the one praying. Implied in every petition to God is that act of surrender uttered by our Lord Himself during his agony in the garden: "not my will but yours be done" (Luke 22:42). Many times, when asked, Padre Pio did not give the petitioner his/her desired answer. Speaking of miracles, Bob Dylan won the Nobel Prize for Literature. This will be reflected in to tomorrow's Friday traditio. Saint Pio of Pietrelcina, pray for us. At least in my mind, which is an odd place no doubt, some things, some people seem completely incongruent. This incongruency is often dissolved by juxtaposing (like "penultimate," how can I ever pass up the opportunity to use "juxtaposing"?) two seemingly incongruent people, things, ways of thinking. What gave rise to these deep diaconal thoughts? Reading yesterday from two books: Summer Meditations by Václav Havel and the poorly translated (from Italian), but still well worthwhile, The "Padre", Saint Pio of Pietrelcina, Charismatic Priest. 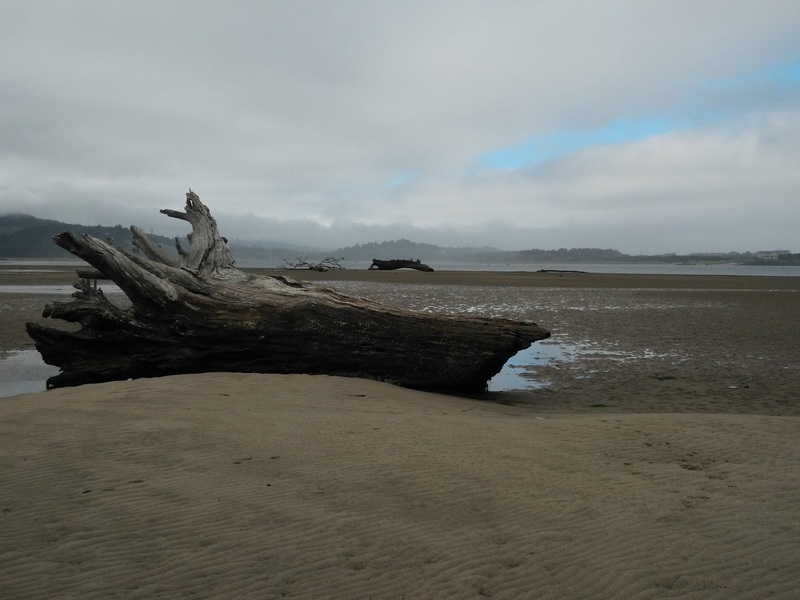 In my reading I noticed not so much a convergence, but a certain continuity. This post is nothing more than an attempt at making a connection. I will begin with passage from Havel that struck me. 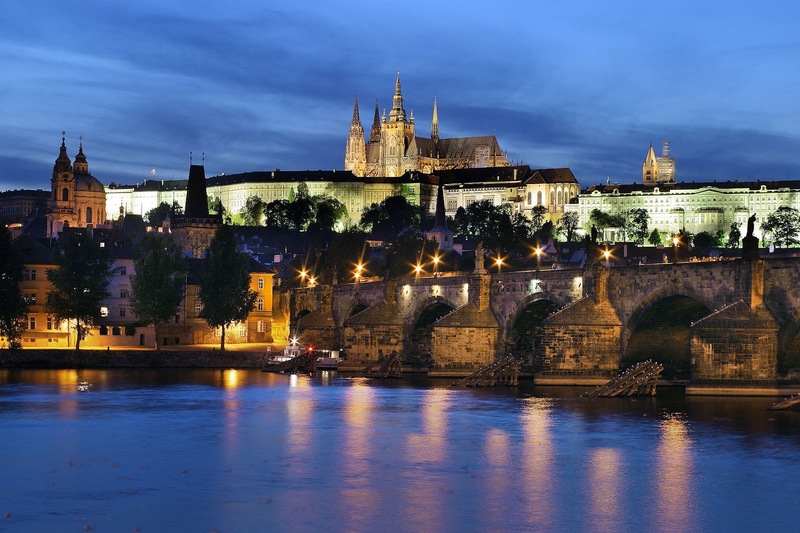 He wrote Summer Meditations in the summer of 1991 after he had been duly elected as president of what was then still Czechoslovakia. The book consists of five meditations. Yesterday I began reading the third meditation: "What I Believe." Havel goes on to point out that "Communist economics was born of an arrogant, utopian rationality that elevated itself above all else." Capitalism, so called, runs the same danger, even as it does not seek to organize everything under the state. Multi-national corporations merit analysis under the rubric of an economy for people, not people for the economy. 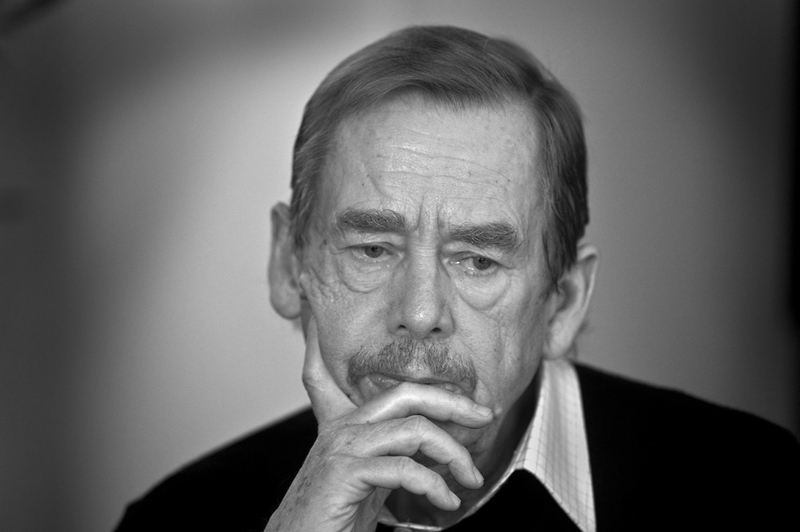 Elevating theory, what is abstract, over what is real, or concrete, such "pseudo-scientific" utopias, according to Havel, lose a sense "of the enigma of life, and lack humility before the mysterious order of Being," which leads to the "turning away from moral imperatives 'from above' and thus from human conscience." Havel is insistent that what he generically calls "the market economy," which he is pretty careful to distinguish from "capitalism," which he viewed suspiciously as an ideology on par with communism, best "corresponds to human nature." He argues because the market economy is obviously in tune with human nature it does not and cannot be reduced to "a world view, a philosophy, or an ideology." "Even less," he continued, "does [the market economy] contain the meaning of life." October, as both my readers know, is a month dedicated to the Most Holy Rosary of the Blessed Virgin Mary. St. Pio of Pietrelcina taught: "Hold on tightly to the Rosary. Be very grateful to the Madonna because it was she who gave us Jesus. Love our Lady and make her loved; always recite the Rosary and recite it as often as possible." Padre Pio never tired of urging and exhorting everyone, no matter his/her state of life, to pray always. To a group of priests who visited him in June 1955, he urged them to pray, telling them prayer is "the only way to save the world." To a group of young male students he said, "Young men, study, but most of all pray! Prayer alone can save souls." Prayer is the way we engage the mystery of Being. Through prayer we learn the point of existence. Prayer enables, empowers, our humanity. Through prayer we develop an immunity to ideology and develop resistance to "chemically pure" theories by remaining humble "before the mysterious order of Being," which is but another name for God. We should have the utmost veneration for she through whom the Mystery became flesh. After being cleansed of leprosy by heeding the words of Elisha and bathing himself seven times in the Jordan River, Naaman the Syrian offered Elisha a very generous gift, which the prophet steadfastly refused. But before proceeding any farther, I think it’s important to back the story up a bit. Upon first discovering a leprous spot on his body, Naaman, the commander of the whole Syrian army, on the advice of a young Israelite woman, who had been led away captive and made a servant to Naaman’s wife, sought out an unnamed "prophet in Samaria" for a cure. Prior to leaving for the territory of Israel with a large amount of money with which to pay for his cure, Naaman sent a letter to Israel’s king announcing his arrival and the purpose of his visit. The king, convinced that it was a trick by the far more powerful nation to the north that would lead to war, tore his clothes because he did not know how Naaman was to be cured (2 Kgs 5:1-8). When he heard of his king’s torment, Elisha sent a message to the king of Israel, telling him to send Naaman his way so the Syrian leader would "find out that there is a prophet in Israel" (2 Kgs 5:8). When Naaman arrived at Elisha’s abode, the prophet himself did not go out to meet him, but sent a messenger, who told the general, "Go and wash seven times in the Jordan, and your flesh will heal, and you will be clean" (2 Kgs 5:10). Naaman, who was clearly a man used to being catered to and getting his way, started to leave very angrily saying, "I thought that he would surely come out to me and stand there to call on the name of the LORD his God, and would move his hand over the place, and thus cure the leprous spot. Are not the rivers of Damascus, the Abana and the Pharpar, better than all the waters of Israel? Could I not wash in them and be cleansed?" (2 Kgs. 5:11-12). Stated simply, Naaman was angry because God didn’t do what he wanted God to do in the way he wanted God to do it. If we’re being honest, are we not often very much like Naaman? Ultimately, the Syrian general heeded the pleas of his servants and did as he was instructed. The result was his immediate and complete cure from the terrible disease. Refusing his generous gift, which was likely the money mentioned earlier, Elisha sent him away with two mules loaded with earth from Israel, even as Naaman assured the prophet that henceforth he would only worship the one, true God, the God of Israel, the One who had healed him and to whom he owed a debt he could never repay. My dear friends, this is a homily in itself. 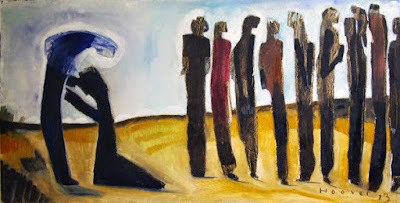 But I think it is important to add that Jesus, about whose healing of ten lepers we hear in today’s Gospel, which event took place as he made his way from Galilee to Jerusalem, fully reveals to us the one God, living and true, whom Naaman worshiped from the day of his healing forward. To paraphrase the psalmist, Jesus is the revelation of God’s saving power to the nations. More than healing us from any physical ailment, Jesus heals us from the ravages of sin and its ultimate consequence, death. Both stories point us to what happens when we are baptized. We are not baptized into water. We are baptized into Christ. The healing we received in baptism is given us anew each time we make a good confession and also when we receive the sacrament of anointing the sick, which is why we call these two sacraments "the sacraments of healing." As the lepers and Naaman demonstrate, anyone who has experienced God’s saving power through Christ cannot be anything but grateful. We should all be grateful lepers thanking Jesus. Like Naaman and the grateful leper, who was a Samaritan, that is, a non-Jew, someone not a member of the chosen people, we too should express our gratitude for what Christ has done and continues to do for us. One way we express our gratitude by worshiping God, who is Father, Son, and Holy Spirit, and Him alone, forsaking all idols, like the healed Syrian general. Let it not be lost on us that what we are doing right here, right now is called Eucharist. "Eucharist" is simply the Greek word for thanksgiving. While we use it as a noun, the Greek word is a verb. The Greek word translated as "thanked" in our Gospel is euchariston, which literally means "thanking". To fully, actively, and consciously participate in our worship is to do nothing but obey the first of Jesus’ two great commandments- "love the Lord, your God, with all your heart, with all your being, with all your strength, and with all your mind" (Luke 10:27). We do this because, as our reading from 2 Timothy assures us, once we truly belong to Christ, he remains faithful even when we are unfaithful (2 Tim 2:13), which, if we’re honest, is often. My brothers and sisters, worshiping God in gratitude is precisely what makes us members of his chosen people, not genetics or heredity. What ought to bring us to our knees in gratitude is our personal encounter with God’s mercy: Jesus Christ. This is why we kneel when we say, after being exhorted to "Behold the Lamb of God, behold him who takes away the sin of the world…," using the words of the grateful Roman centurion, whose servant Jesus healed, "Lord I am not worthy that you should enter under my roof but only say the word and my soul shall be healed" (Matt 8:8). I believe with my whole heart that Jesus really did cure ten lepers and that God healed Naaman of his disease too, just as these things are handed on to us in Sacred Scripture. I find all of this easy to believe because it pales in comparison to what Jesus has done and continues to do for me. He can and desperately wants to do the same for everyone. But he can only heal you if, like Naaman, you relent and let him do it his way, which, we can trust, is the best way. Then, like the grateful leper, we will fall "at the feet of Jesus and" thank Him (Luke 17:16), both now and forever, which is how long his love and mercy endure. 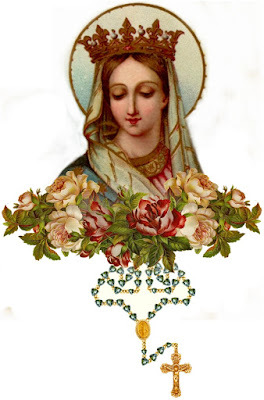 In my flurry of posting activity yesterday it occurred to me that traditionally October is the month of the Most Holy Rosary of the Blessed Virgin Mary. 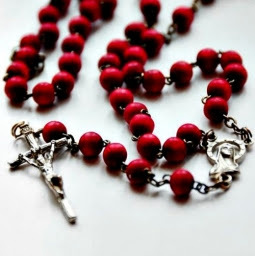 Due to the fact I have been posting so much, it took an email from a woman, a single mother who was in having a difficult time several years ago when I met her, to post on the importance of praying the Most Holy Rosary of the Blessed Virgin Mary during this month dedicated to doing so. Since then she has moved back home in the eastern U.S. and has been received into the full communion of the Church. The late English Dominican Fr. Vincent McNabb, in a homily for "Rosary Sunday" way back in 1936 stated" "The Incarnation is the centre of all our spiritual life. 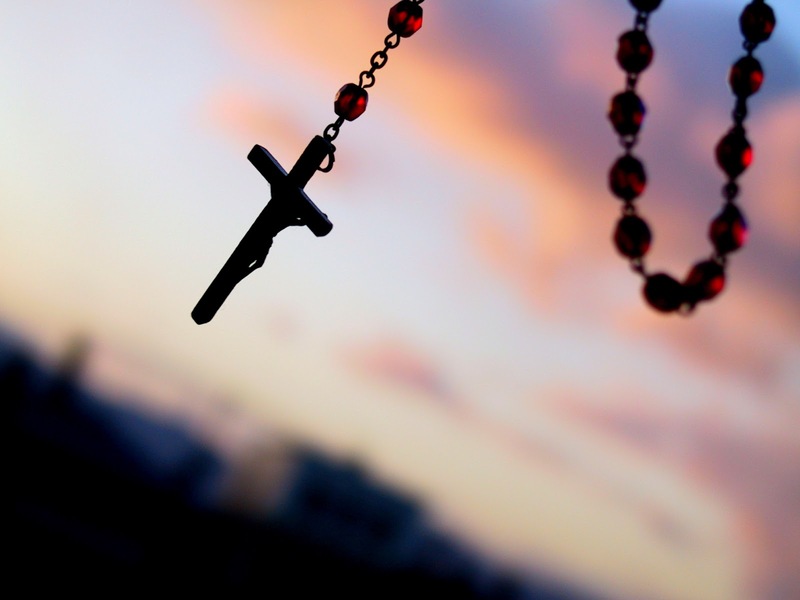 One of the means by which it is made so is the Holy Rosary. 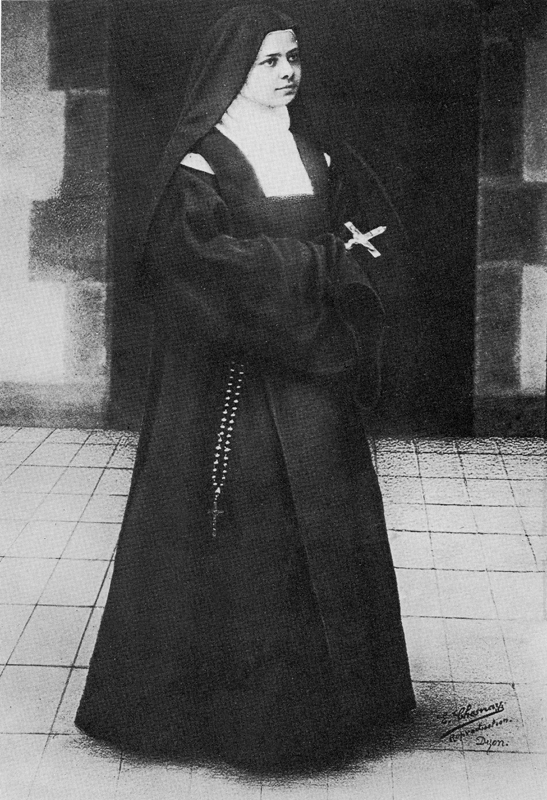 There is hardly any way of arriving at some realisation of this great mystery equal to that of saying the Rosary. Nothing will impress it so much on your mind as going apart to dwell in thought, a little space each day, in Bethlehem, on Golgotha, on the Mount of the Ascension." I urge you, dear reader, whether Catholic or not, pray the Rosary daily over the course of this month. Trust your most deeply sought after prayer intentions to the care of our Blessed Mother. What could be more fitting during this Jubilee of Mercy than to pray the Rosary for the souls of our beloved dead leading up to the three day festival of All Saints/All Souls? Meanwhile, in our reading from 2 Timothy, Timothy is urged "to bear your share of hardship for the gospel with the strength that comes from God" (2 Tim. 1:8). What is the strength that comes from God? If Jesus and St. Paul are to be believed, the strength that comes from God is powerlessness. In today's Gospel, it seems to me that we easily fixate on Jesus telling the apostles that if they possessed even the smallest faith, they could do remarkable things. 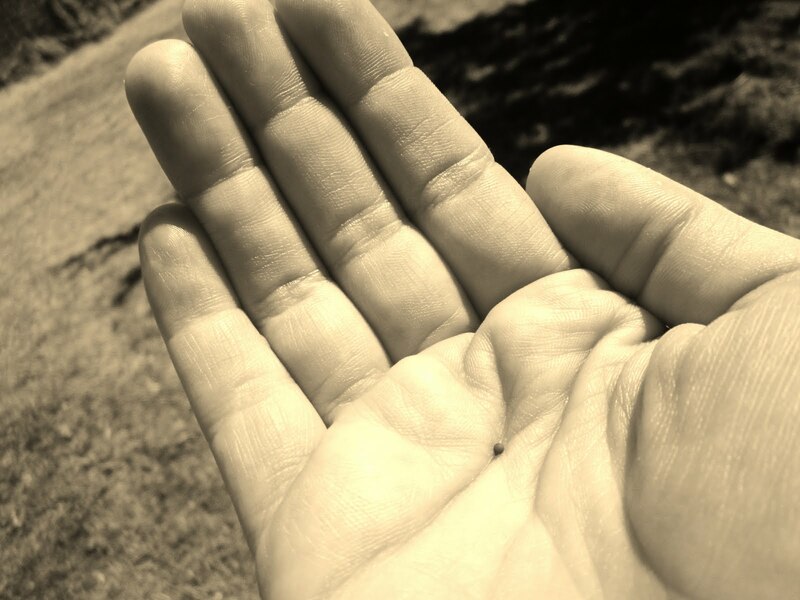 Using an example that was no doubt close-at-hand, the Lord told them: "If you have faith the size of a mustard seed,you would say to this mulberry tree, ‘Be uprooted and planted in the sea,’ and it would obey you" (Luke 17:6). I think it's fair to say that if you have faith even slightly larger than a mustard seed you understand that using it to command mulberry trees to be uprooted and planted in the sea is useless and, like Jesus' own miracles, about which he was very ambivalent, perhaps counterproductive when it comes to accomplishing God's purposes. Due to our fixation on verses like this, usually ripped out of context, far too many people conceive of faith like magic from Harry Potter books, or "the force" from Star Wars. Jesus' immediate, dramatic, and illustrative response to the apostles' request that he "increase" their faith is meant only to show the power of faith. What he went on to teach them demonstrates that the power of faith is to be used to usher in God's reign by doing what he commanded them. As with last week's Gospel, in which we heard the parable of Lazarus and the rich man, reference is made to what is commanded. What did Jesus command his apostles and all who would follow him? "You shall love the Lord, your God, with all your heart, with all your being, with all your strength, and with all your mind, and your neighbor as yourself" (Luke 10:27). When we have loved God by loving our neighbor what is our reward? Our reward is to make God's reign present when and where we have done what the Lord commands. Until Christ returns God's reign will not be definitively established. "The vision," as God said to Habakkuk, "presses on to fulfillment and will not disappoint." It will be realized at the right time and not be late. Hence, there is no need to act rashly, like one who has no integrity. Meanwhile, as disciples of Christ, like Timothy, we must be willing "to bear our share of hardship for the gospel." What was Jesus' earthly reward for inaugurating God's reign? Death on a cross. 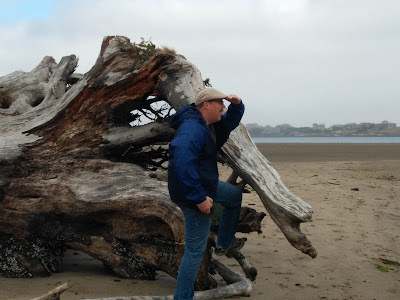 It takes faith at least as great as that required to uproot a mulberry tree and re-plant it in the ocean to persevere in love. Planting many tiny seeds that will sprout, grow, and bloom in time is how God's reign will be realized. As far as acting rashly and without integrity, for some people it's always the end of the world until the end of the world. Faith, which is dead without works, and not politics will bring about the reign of God. The two questions Havel asked are, of course, rhetorical, the answer to both being, "No use whatsoever." Havel, expounding on Tolkien's conception of the state, continued: "No state - that is, no constitutional, legal, political system - is anything in and of itself, outside historical time and social space. It is not the clever technical invention of a team of experts, like a computer or a telephone. 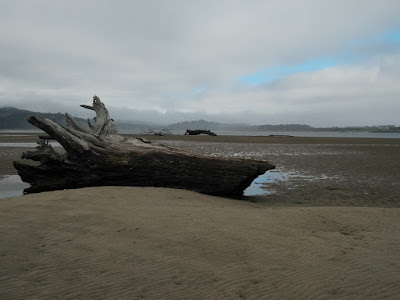 Every state, on the contrary grows out of specific intellectual, spiritual, and cultural traditions that breathe substance into it and give it meaning" (Summer Meditations 19). I don't share Tolkien's preference for unconstitutional monarchy, which I see as the apotheosis of "Theyocracy," rooted as it normally is in the notion of divine right of kings. As far as I can tell, the anti-Christian notion of the divine right of kings is a pagan hangover from the Roman empire. Instead of being divine himself, the king becomes God's anointed, like David, which has very troubling messianic overtones. The Christian response to Caesar is Lord, Son of God, and King of kings, is Jesus is Lord, Son of God, and King of kings. Given what Havel wrote about states growing out of specific historical and social conditions, I am fine with constitutional monarchies, which "breathe substance" into certain modern European states by connecting them with their "intellectual, spiritual, and cultural traditions." On the other hand, I am very sympathetic to the anarchy Tolkien espouses and which he seems to give priority over unconstitutional monarchy. Proof of this priority, I think, can be found in the governance of The Shire. As a citizen of the U.S., a country built on the explicit rejection of monarchy, viewed by this nation's founders as inherently tyrannical, I shudder as I ponder Hillary and Donald, plus their respective gangs, who no doubt believe themselves possessed of the technology to re-invent our state. * After posting this initially yesterday, I realized it needed more work. 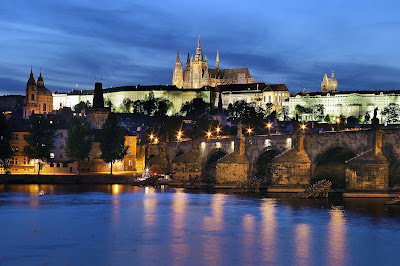 After re-working it, I also swapped the original picture, which was Blink 182's cover for their 1999 album Enema of the State for this lovely photo of Prague Castle. Dear God, how did I become so respectable?